Three Points of the Compass navigating on the Brecon Beacons, 2012. As the mist rolls in it pays to be sure of where I am and where I am going, taking the time to take a compass bearing on soon to be lost in the mist features is of immense benefit, possibly even life saving. oh yes, and knowing how to use both. That, in essence, is it. I know that GPS and mobile mapping aps are taking over the World but I still believe they are a complement, not the answer. Batteries fail, electronics get water logged, GPS’s get nicked (when was the last time someone stole your compass?). 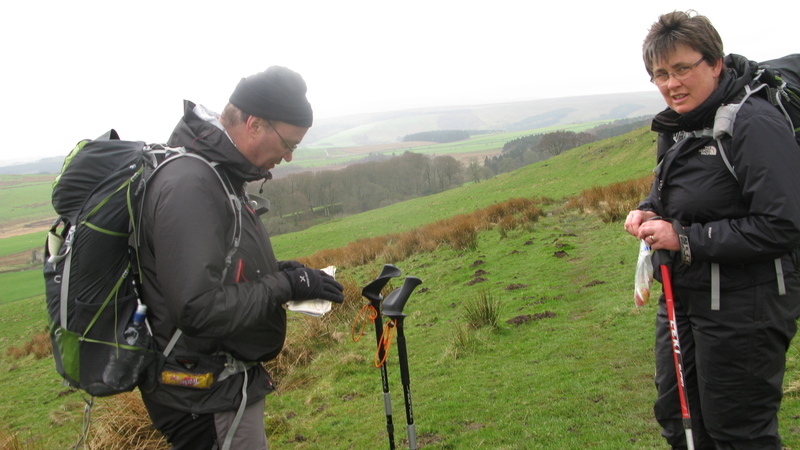 I am no great map reader, it is a skill I continue to develop. There are some great websites and YouTube clips that can really explain not only the basics but the more complicated stuff too. If you wanted to, and I don’t, you can even sign up and join one of the ‘in the field’ training sessions that take place across the country. That last point raises a crucial matter, in the field experience. 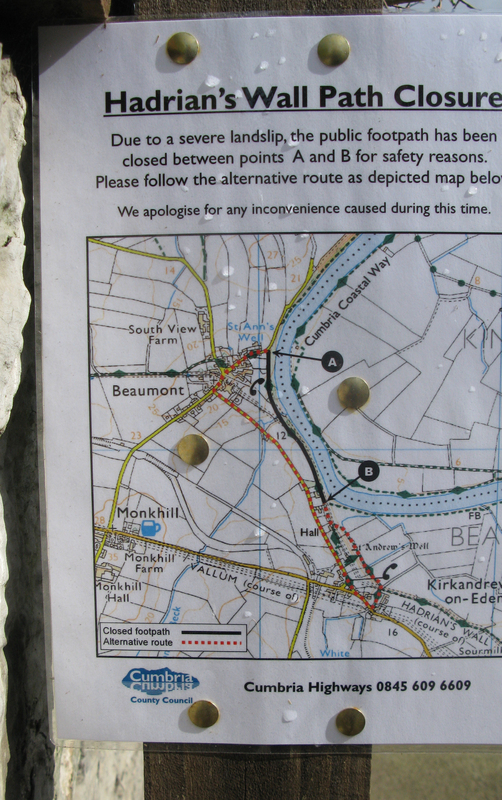 I continue to make the occasional mistake when map reading, but importantly I also try and learn from said mistakes. The time to make errors is when it doesn’t really matter too much, when safety is not really an issue. Make the mistakes then and the lessons learnt mean that you (or more importantly, I) can stay safe when it DOES matter. It is very rare that I go for any walk at all, even a two mile jaunt around the local countryside, when I don’t carry a map. Also, I refer to it. 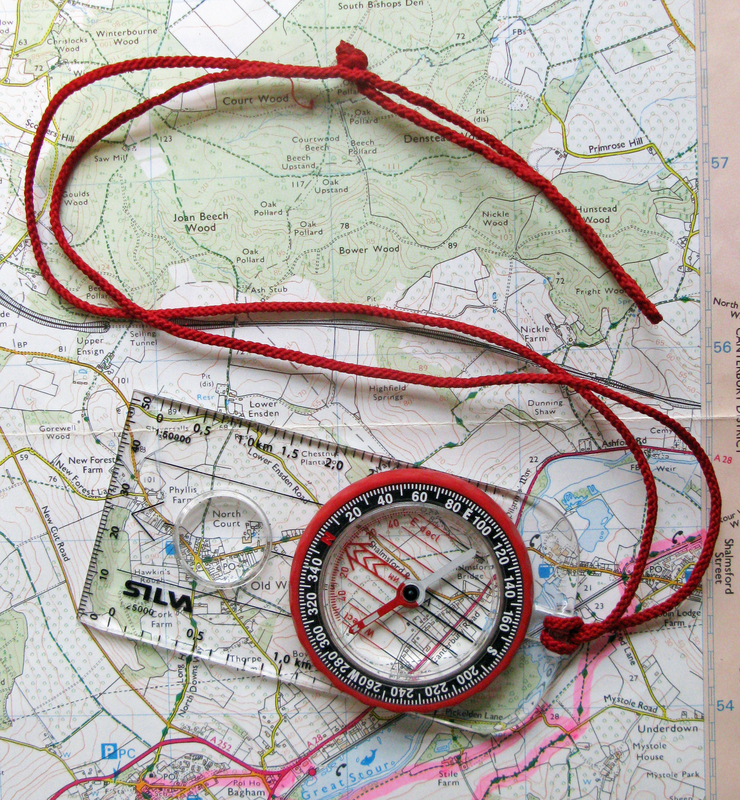 A map in the pack is great to pull out when lost, but not much use if you haven’t been keeping track of where you are on it . And yes, I do know that a GPS would be a damn useful piece of kit to have in such an eventuality. I attempt to always be aware of where I am. If in uncertain or difficult territory, I may not stow the map, instead keeping it my hand with my thumb following my location as I move. I would far rather make the more frequent and brief halts to affirm location that to wander miles off course before I realise. Or worse, to wander down the contours and have to labour back up when I become aware of my mistake. It has happened and will no doubt occur again. All I can do is try and reduce those times. In the UK, I put most of my faith in Ordnance Survey maps. I absolutely adore (not too strong a word) the 1:25,000 maps. The detail is fantastic. For instance, to be able to tell which side of a wall a path is can be a real boon. For wider expanses with less features (yes Scotland I am talking about you), then 1:50,000 are pretty much all that is required. Increasingly these days I find I am using the Harvey 1:40,000 maps, their strip maps for long distance paths are lighter, waterproof and show more than enough detail. Just don’t walk ‘off the map’ though. The danger with a strip map or reliance on tiny portions of Ordnance Survey maps being reproduced in guide books (or worse, an ‘artist’s’ rendition of what he thinks the ground looks like) is when you go ‘off piste’ for one reason or another. Be it looking for somewhere to shelter, poor weather on the high ground, local forestry works, or even lost. That is where a full sized map is worth its weight. Three Points of the Compass does use guide books on occasion. Those published by Cicerone are almost exclusively excellent. However I never read them ‘on the go’, on longer treks and trails my guide book usually comes out in the evening to read of what I should have been looking at rather than what I did! I am attempting these days to get ahead of the game and read about the next days walk rather than the past days experience. I’m getting there, just very slowly. If I am taking an Ordnance Survey map then I need a map case. I have used the Active and ‘Tuff’ variants they produce but not only do these add greatly to the cost, but they are also considerably heavier and bulkier too. On occasion I simply use a zip lock bag, this is perfectly up to the job for a day hike. Certainly these can also be used to store maps that are ‘next up’, which are kept in the pack until required. A large Aloksac works well but I battle to get the seal to work properly after a few months of use, particularly if bits of grit, pine needles etc get into the seal. Instead, I continue to invariably rely on one of my oldest pieces of kit still in use, the Ortlieb map case. I don’t bother with the strap that goes around the neck, I cannot abide the damn things, they always want to spiral in the wind and end up throttling you. The thick UV and tear resistant cases measure some 270mm x 270mm . Mine has developed a slight yellowish tinge over the years and has a pin prick hole or two. I shall eventually replace it but in the interim it continues to work excellently, and you can sit on it at halts too. When not in the hand, I have this rolled up and fixed on to my pack shoulder strap. I use a couple of pieces of dyneema with a couple of sliding plastic lock thingies to hold it securely in place. 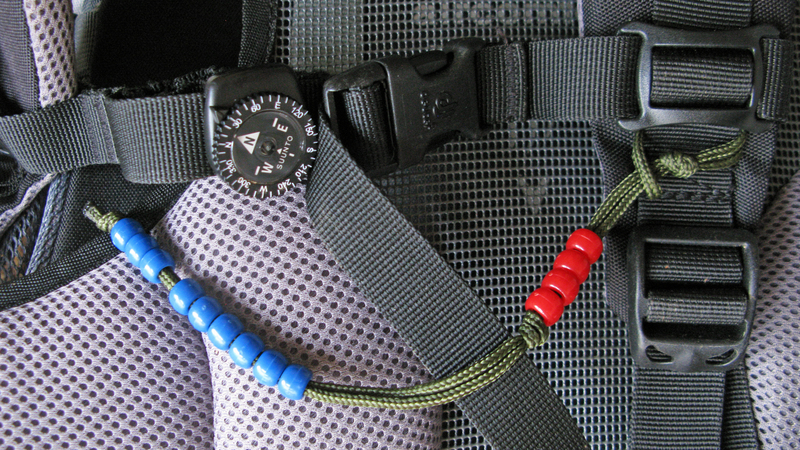 The top loop passes though a split ring which in turn passes through one of the daisy loops on the strap, the lower loop of dyneema is free to slide on the strap below this. There are a lot of poor compasses on the market, equally, there a lot of very good ones too. It is not difficult to buy a good one. 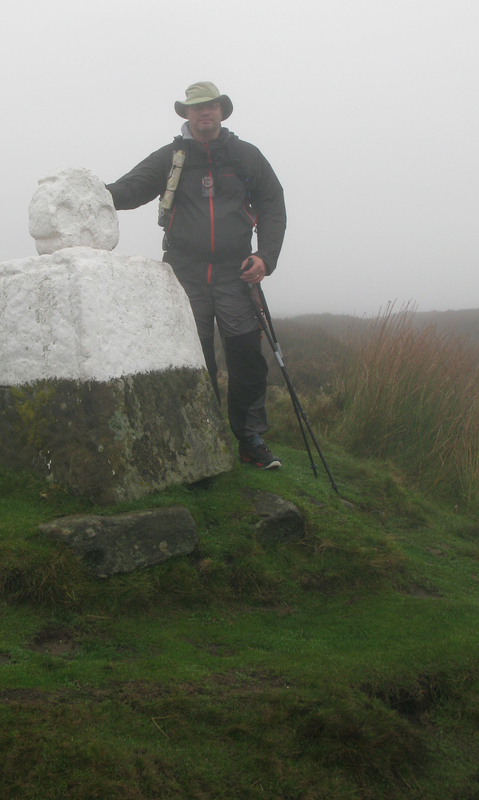 Just about any of the Silva range are perfectly adequate for hill walking in the UK. I have also used excellent Recta and Suunto equivalents too. My current weapon of choice is a Silva Ranger 3. No bells and whistles but has enough features to keep me safe. Three Points of the Compass shall probably upgrade to the Expedition 4 in the next couple of years for no other reason than the longer base plate on that compass is better for taking bearings on a map. There are two other aids to navigation that I also take with me. One is a small Suunto Clipper compass. I have had other similar mini compasses in the past but lost them all. Primarily because I used to clip them on to the edge of my map- asking to be lost in that position really. Some people clip them on to their watch strap. Seeing as the needle on compasses is attracted to metal, I can’t see the sense in that. I now clip it to the sternum strap of my pack and have yet to lose it from that position. It is cheap, handy for quick checks of direction and a back up should I ever lose the big ‘un. Bit of a no brainer really. Beyond Naismiths Rule (5km takes roughly one hour to walk plus 10 minutes for every 100m of ascent) I now use another handy and cheap item which utilises knowing my length of pace and can be of great assistance in white-out conditions or similar. This is the other item to be seen in the photo above. These are a home made set of ranger beads, sometimes called pacer beads. I have only had these for the past year or two but can really see them being of use when the right (or wrong) conditions dictate. When I need to keep track of the distance I am walking I use these. I move one down for each hundred metres I walk, when I have moved all nine of the blue beads down, I move one red bead down, that is one km walked, then I start again. As you can see, I have the means to record five km of walking. As to how to account for what 100m of walking is, I won’t go into detail as there are numerous online resources that explain it far better than I could. Great to have met and walked with you on the South Downs today. Shout if you ever want to come to the old Post office HQ for a nose about. Ps. Seriously inspired by your walks. Need to up my game and planning. 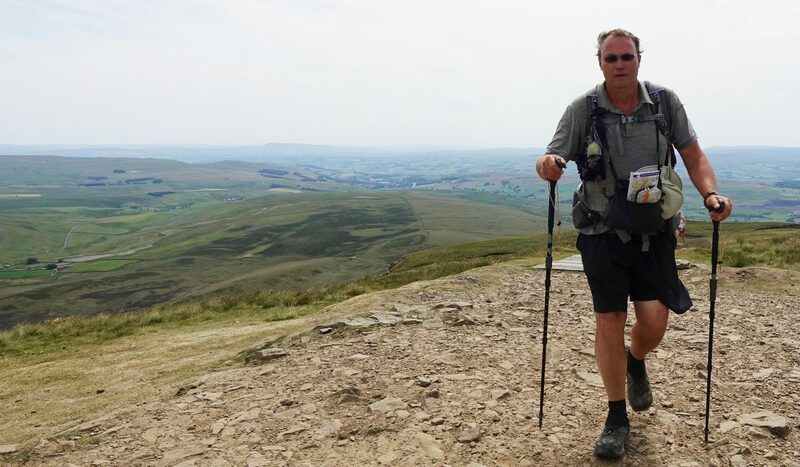 Walking poles and a map for the my next leg of the way for sure!